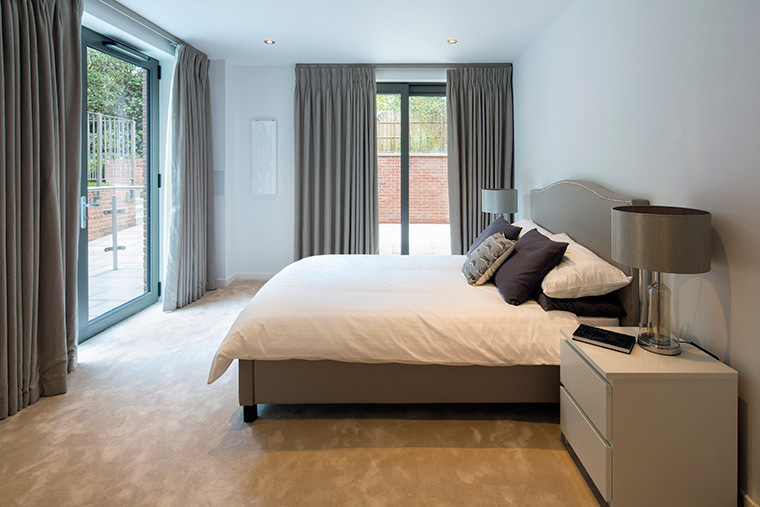 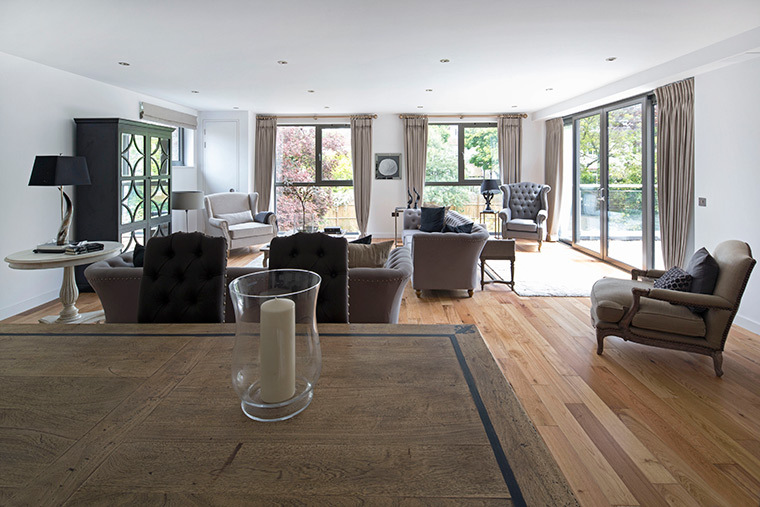 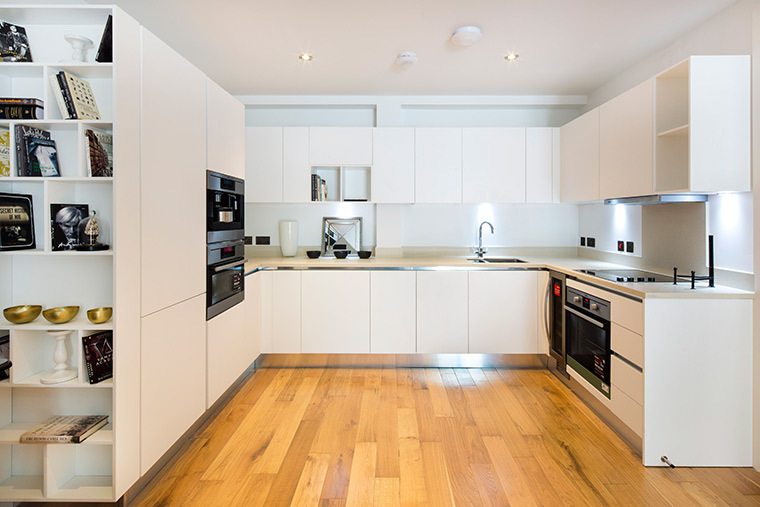 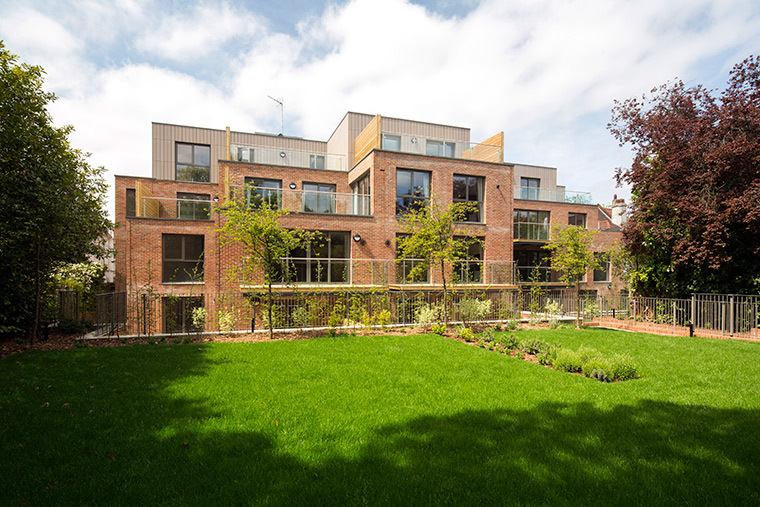 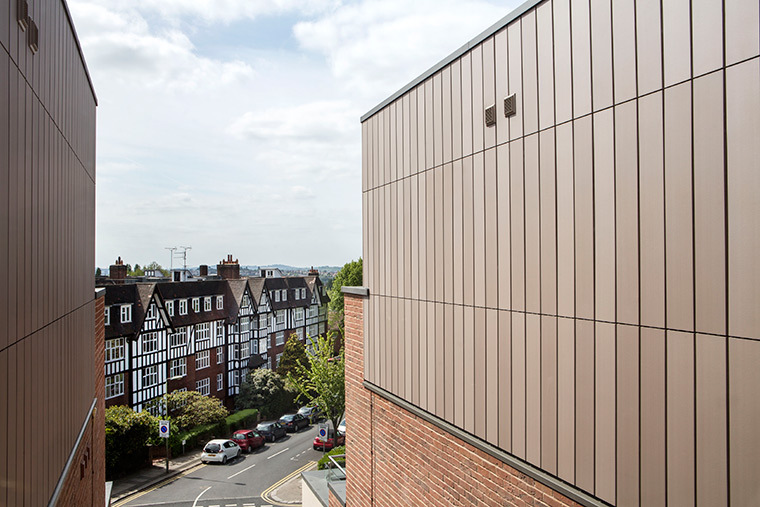 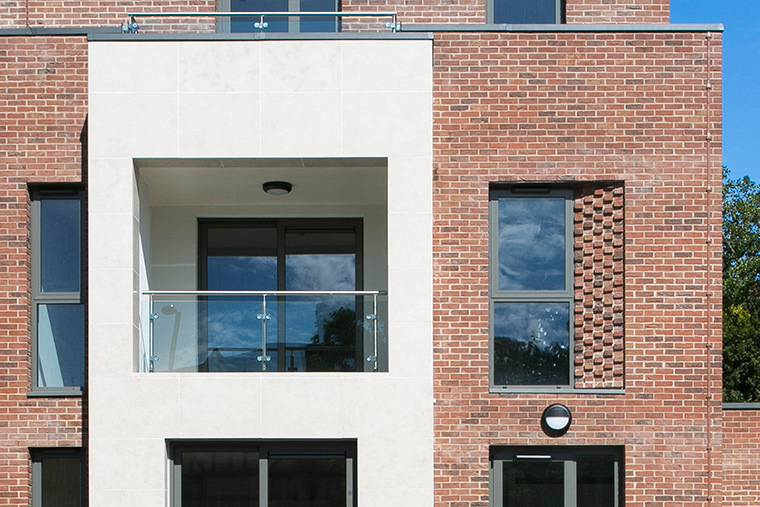 This high-end residential development provides 22 new dwellings that range from one to three bedrooms, each with a private terrace, along with underground car parking and a large communal garden, screened by mature trees. 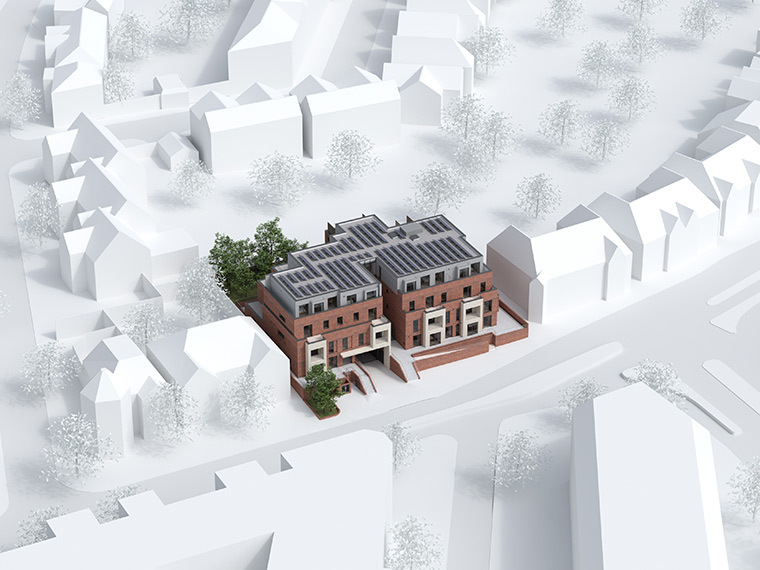 The site backs onto a conservation area and the design of the elevations and choice of materials reflect this. 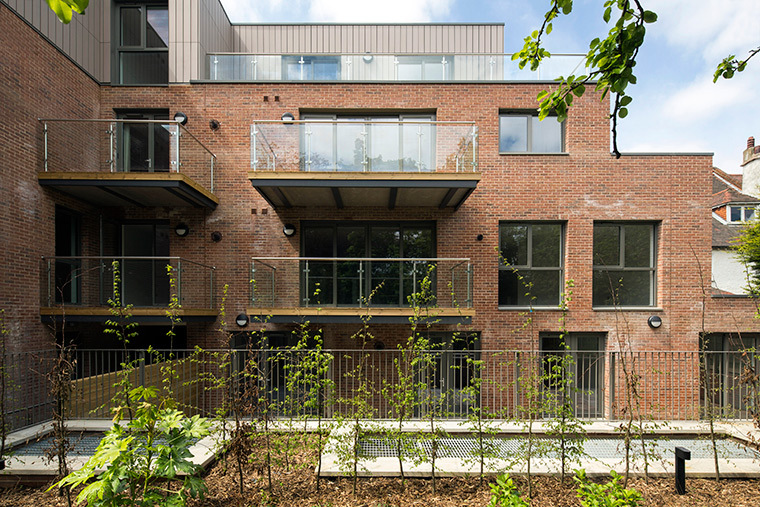 The facade steps back to pick up on the clear eaves line of the surrounding buildings and to prevent overshadowing. 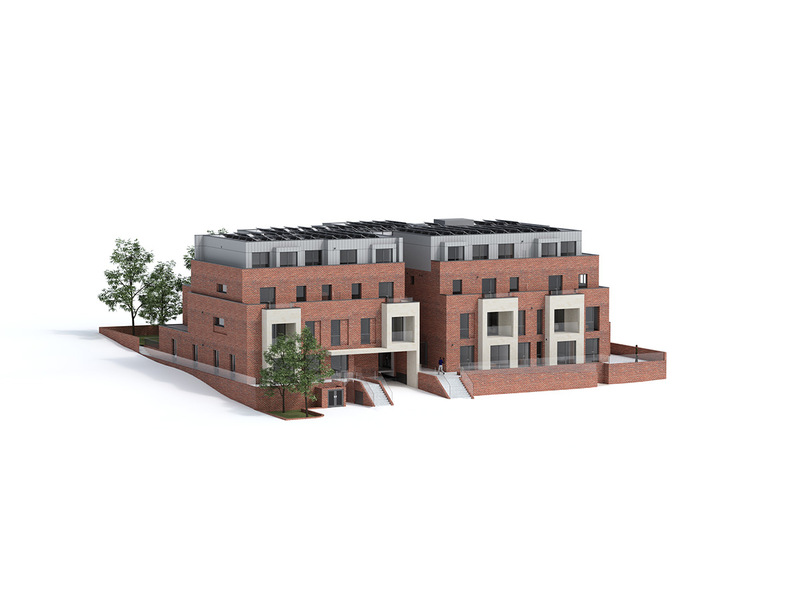 The development utilises low carbon sustainable design and renewable energy technologies such as photovoltaic panels on the roof.